Crush paneer (with your hands) to the condensed milk in a bowl and mix well. Soak gelatin in 1/4 cup water and melt it by double boiling method (ie, melting gelatin by placing it over the pan of boiling water). In another bowl, add fresh cream and beat well. Then add condensed milk- paneer mixture ( step 1), crushed mangoes, gelatin and vanilla essence and beat well to mix together. 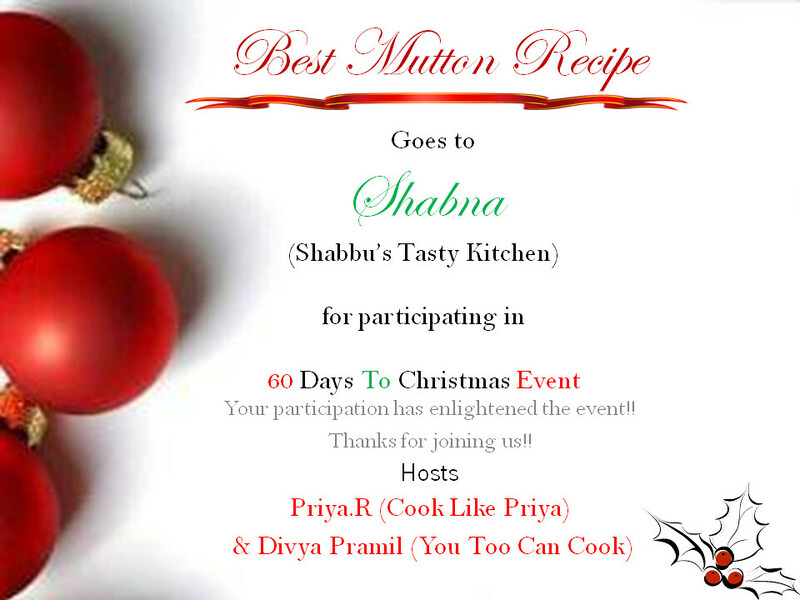 Pour into a pudding dish and garnish with cashew nuts , chopped mangoes and keep it in the refrigerator till set..
Hi friends, 2 of my recipes were recently chosen as " Best Mutton Recipe " and " Best Dessert Recipe " for the event- "60 Days to Christmas Event" by Divya and Priya.. 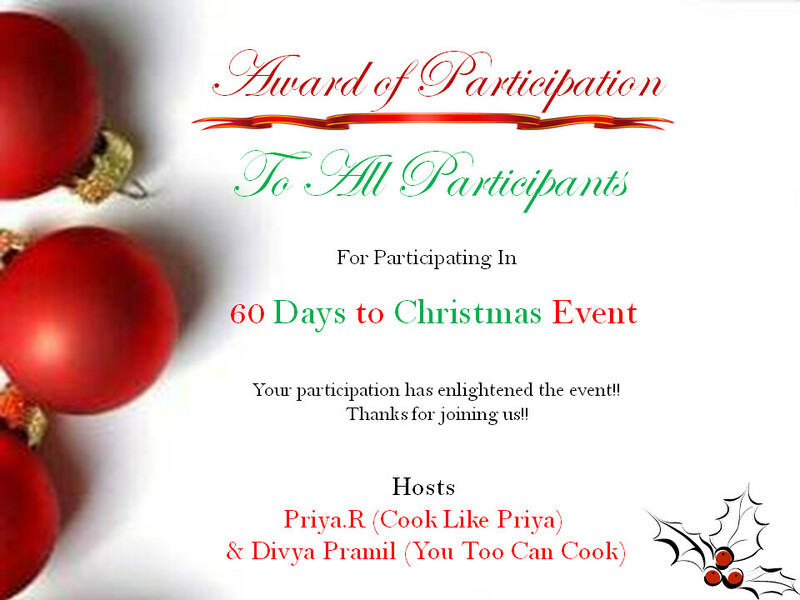 I really enjoyed participating in that event. 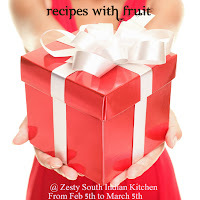 I thank you both, Divya and Priya, for selecting my recipes..
simple and easy dessert recipe! 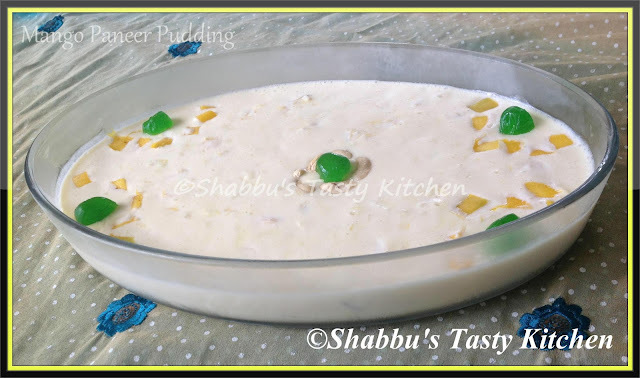 congrats shabbu :) nice pudding..
Congrats dear, such a delightful and droolworthy pudding. Congrats on your awards,delicious pudding..nice one! congrats my dear bte ur dessert looks perfectly delicious !